15mm (.60 inches) Black Paracord Buckles, 6 complete buckle sets. These buckles are perfect to make small children's or small women's bracelets. 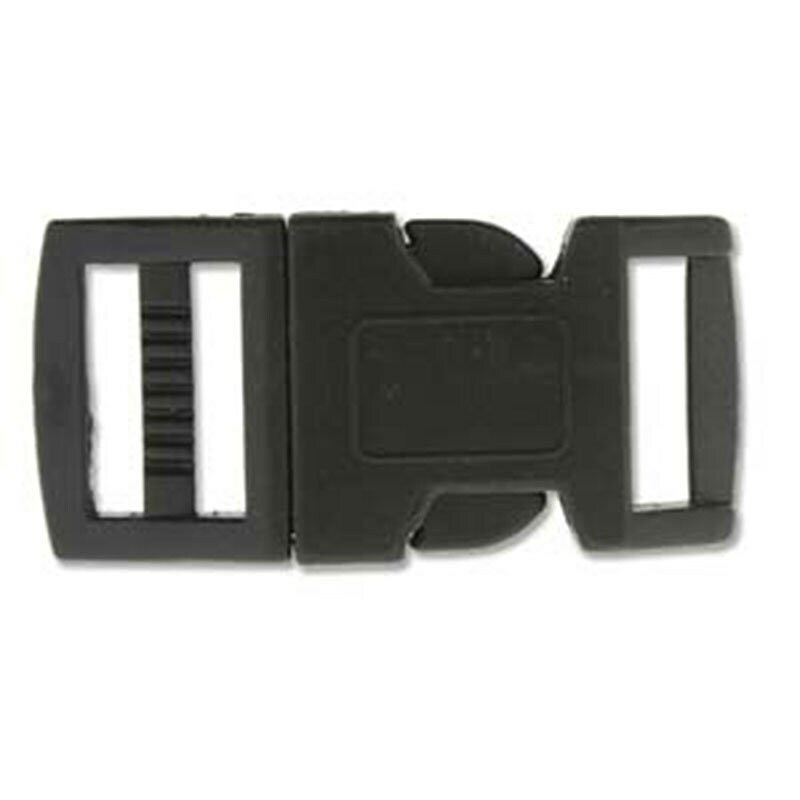 This buckle can fit up to 4 strands of 550 cord through each end. This size works well also for the more narrow paracord weaves.